At Westminster School, we believe that dance is an important aspect of physical and social development, and that it should be a part of every child’s experience. As a component of physical education, dance nurtures core skills such as cardiovascular and muscular strength, coordination, flexibility, good posture, and sense of rhythm. Dance helps children gain confidence in themselves and learn to interact with others in an enjoyable, wholesome way. And, best of all, dancing is fun—a creative and joyous expression of life! The Westminster curriculum includes dance in all grades. Through the years, students build dance skills and discover dance as a way to express themselves, bond with others, and have fun. In the 5th and 6th grades, students learn a variety of line dances as well as historical social dances, such as square dancing and the Virginia Reel. At the end of their dance unit, a Hoe Down party provides the chance for students to celebrate all that they’ve learned and gain important social experience in a boy-girl party setting. 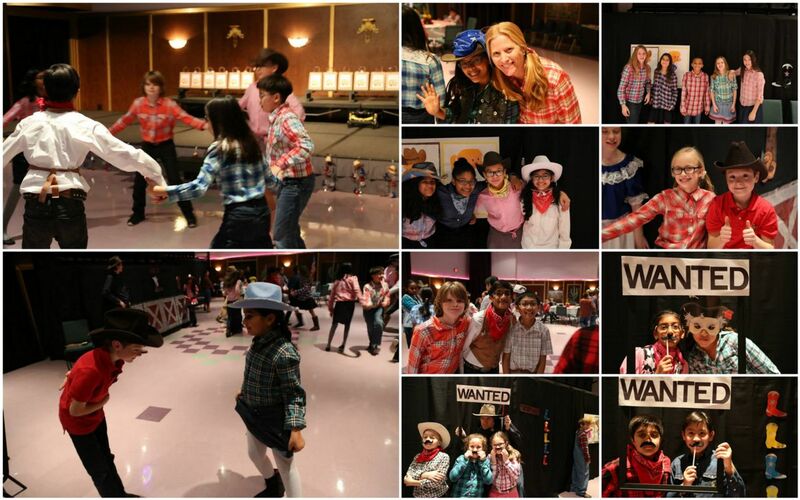 This is such a fun day for the students, who come to school in western-themed dress and are treated to a festive party, including traditional line dances, partner dances, and group square dances, as well as special games, decorations, and refreshments. A big thank-you to the P.E. Department for hosting the party, and to Mrs. Connell (P.E. Teacher, K-8th) for teaching the students about teamwork, spatial awareness, coordination, synchronization, sequential steps, musical phrasing, and historical context—all in a kick-up-your-heels kind of way! Special thanks also goes out to the 5th/6th grade team for their support and for sharing in the fun!